The Parents Television Council or PTC is doing something totally unprecedented — they are asking to save a TV show from being canceled! Usually, the PTC is trying to get TV shows taken off our screens, not keep them and give them a better time slot. This news is totally unheard of since, the council is actually trying to make Fox’s new baseball series, Pitch, successful enough to not get canceled anytime in the near future. According to Deadline, the PTC is urging Fox to give Pitch a different time-slot in order to “ensure the show’s success.” The show is currently in danger of cancellation due to its viewership. In a previous report, Deadline stated that although it increased its numbers from the premiere, its 1.1 million viewers for the Live + Same Day viewership and total 4.2 million, technically lands it in the “cancellation-range premiere delivery,” which is what concerns the PTC. "We are urging Fox to ensure that Pitch hits a home run with families by airing it on a different night that doesn't conflict with other family-oriented sports programming, such as NFL broadcasts," the organization's president Tim Winter told Deadline. "Families are hungry for TV shows that can be enjoyed by, and are safe for, the entire family, and Pitch is a rare option in the TV universe." 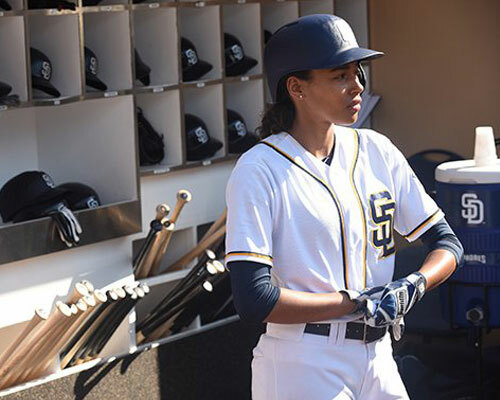 Pitch, which premiered on September 22, has a positive female character, Ginny Baker, portrayed by Kylie Bunbury, which is definitely part of the PTC’s push to keep it on TV and make it more of a success. A female in baseball is really eye-opening and a great role model for young girls, so we completely understand the PTC pushing for this one.